Tired of the gunpick, the player can choose the speed battlefield mode and then randomly match it to close combat. In this game, the only weapon available to the player to defeat the enemy is the pan, crowbar, sickle, and machetes. Melee gameplay no longer needs to be prepared for the enemy to put a stun gun behind their backs. Some players can’t always adjust their angles when they use melee weapons. When they haven’t reacted, they are killed by the enemy. Although the killings in the close combat are simple and crude, there are also some skills to kill the enemy. In addition to the head, the place where the melee weapons are cut is not fatal, so players will try to hit the enemy’s head when confronted by melee. If the player meets with the enemy, the player can quickly rush to the enemy, press the jump button when there are about two or three meters away from it, sky, and aim at the enemy’s head attack. By jumping up and attacking the enemy, it is easier to headshot the enemy. If the player is entangled with the enemy, do not use this mode of operation, it is easy to be avoided by the enemy, there will be a short delay after landing, expose the vital parts to the enemy. Although it is a melee game, players can pick up throwing weapons on this map. The fragmented grenades can cause direct damage to the enemy, and players can use the fragment grenades to kill the enemy. After seeing the enemy in the distance, the player pulls the fragment grenades. There will be a preparation time of about five seconds. The player will quickly run forward, pulling closer to the enemy, and then at the moment the fragmentary grenade is about to explode. Throw it directly in front of the enemy in a high throwing manner. In using this technique to kill the enemy, it is necessary to observe the melee weapons held by the enemy. 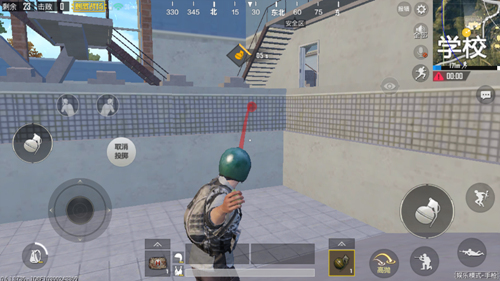 If the enemy holds the pan, the player must guard against his waving pan and shoot back the fragment grenades. When melee and enemy are killed, the player can preempt Machine, first hit the enemy, causing poor blood. Then quickly switch throwing weapons, took out and opened the fragment grenades. At this point, the player moves backwards, keeping a certain distance from the enemy. When the grenades are still a second away from the blast, throw them in the form of low throws at the center of the player and the enemy. Such a practice kills a thousand self-inflicted losses of 800, and if it does not pick up enough drugs before the game, it must be used with caution. If only the last enemy is left, this method can be used to stabilize the chicken. After the player picks up a melee weapon, he immediately observes which house the surrounding enemies enter. The player quickly moves forward and rotates around the house to create the illusion of entering the house and to let the enemy lose control of the player’s position. 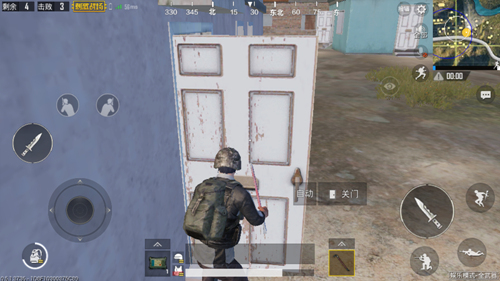 Then open the door and hide behind the door, even if the enemy through the window is difficult to detect the player’s actual position. If the enemy chooses to come out from the door, lift the front sight slightly to the enemy ; if the enemy chooses to jump out of the window, wait for three seconds, quickly follow the enemy, and attack it violently if it hasn’t turned around. In the actual battle, these operations are not Not only is it simple, players need not only to grasp the right timing, but also to understand the relevant data of the melee weapon and fragmented grenades. 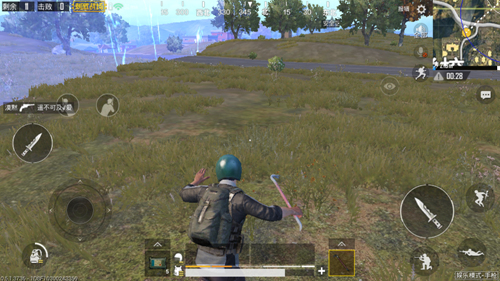 The attack range of a melee weapon is about one body position, and the weapon’s waving animation effect affects its hit rate. Of the four types of melee weapons, pans and sickles are slower to swing ; crowbars are more difficult to hit; The explosion range of fragment grenades is about 5 meters, with the effect of knocking off the fly. Players should pay attention to the terrain when using, and do not cause unnecessary falls. 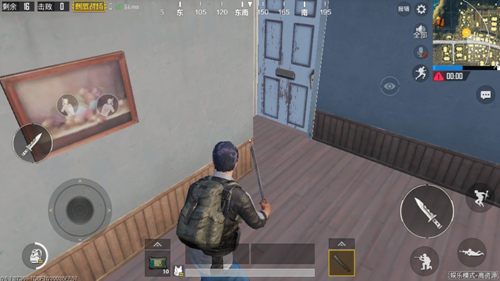 PUBG Mobile guide The weapon that can’t be equipped with sight is so strong?